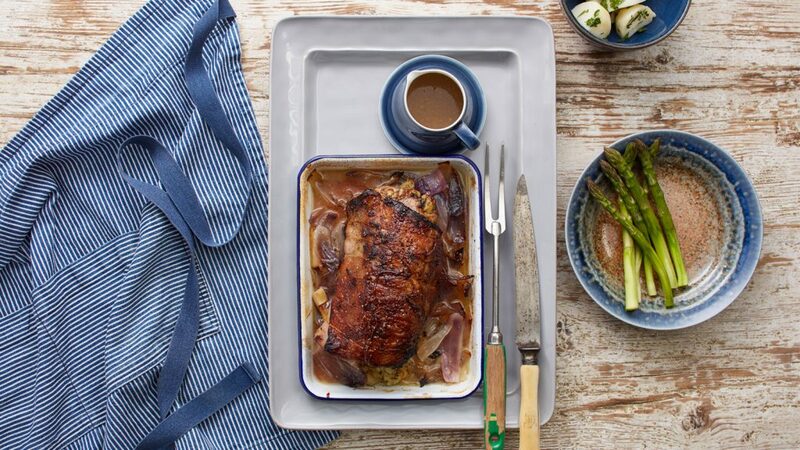 Who doesn’t love a roast lamb? 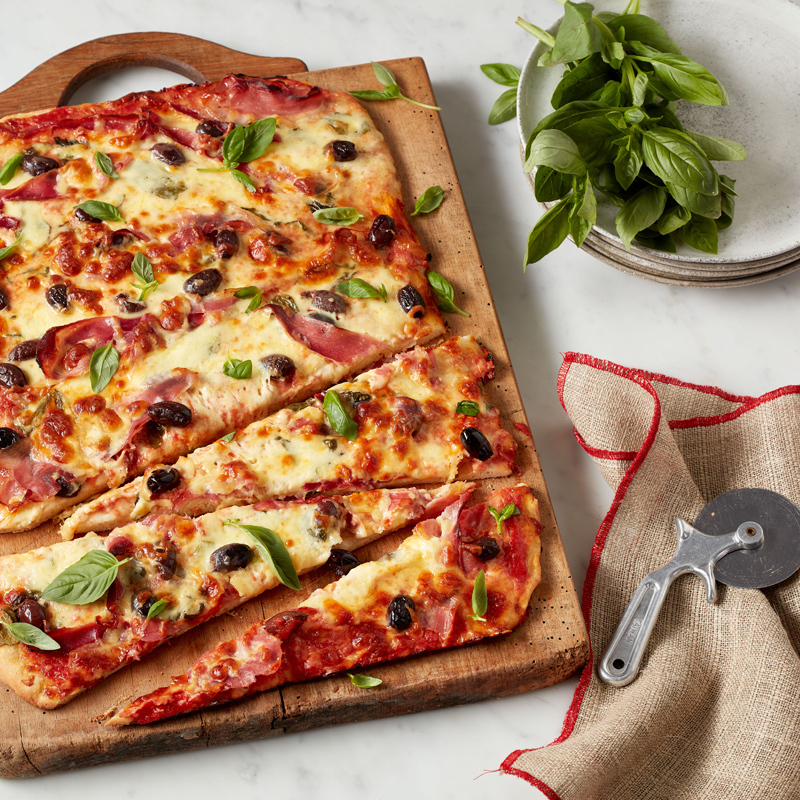 This recipe is easy to cook and is guaranteed to impress your guests every time. 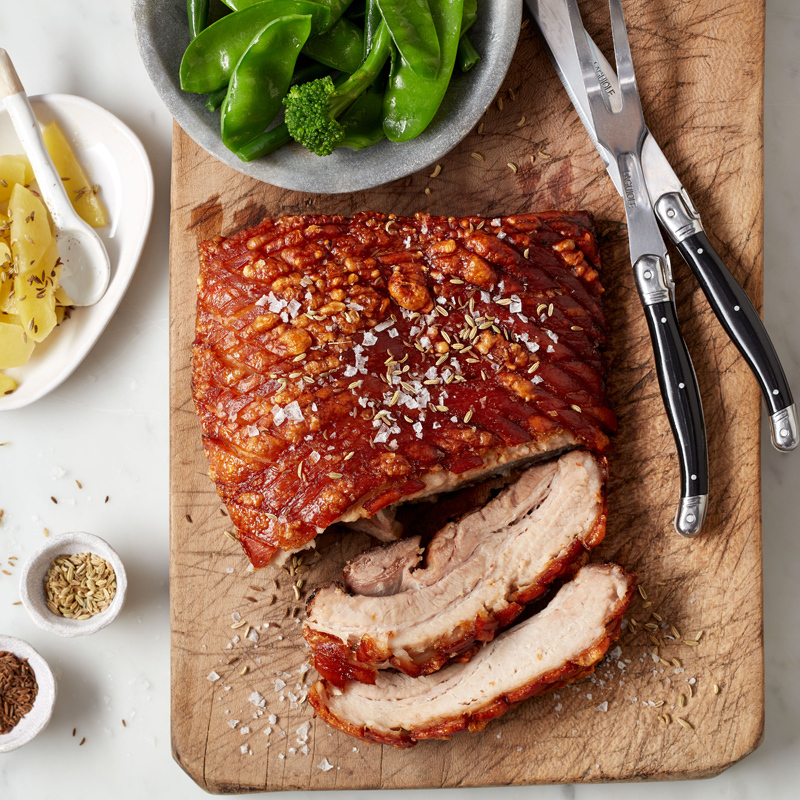 The combination of chilli and pear ensures your roast is bursting with flavour. Pre-heat oven to 180°C CircoRoasting. Heat oil in a frying pan over medium heat. Sauté garlic, parsley, pears and chilli; cook until pear is tender; add the pine nuts; transfer to a bowl and allow to cool; add the cheese. Mix well. Trim the lamb if necessary and season with salt and pepper. Divide the pear filling between lamb, pressing along the centre of each loin. Roll up to enclose filling and tie with string at 2cm intervals. Heat olive oil in a frying pan, sear lamb until golden and place into a roasting pan. Fry onions and brown sugar in the same frying pan over medium heat until soft and caramelised. Deglaze with wine and stock and pour over the lamb. Insert meatprobe horizontally into the thickest part of the meat. Set a core temperature (60°C for rare, 65°C for medium, 70°C for well done) and the oven will set the right amount of time for you. Remove from oven and allow to rest for 10 minutes. Remove cooking string and serve the lamb loin sliced, with the roasting juices poured over the top. If you don’t have a meatprobe, cook lamb on 180°C CircoRoasting for 25 to 30 minutes or until cooked through.